Great swimwear is well-constructed, utilizes beautiful fabric and is fashionable. 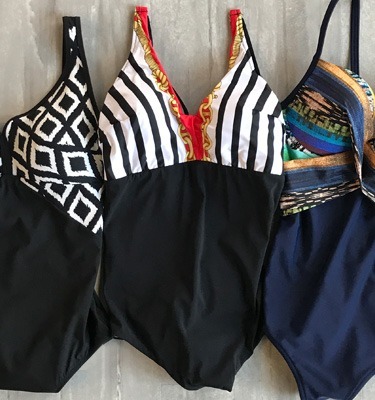 We love the quality and design of Jolidon swimwear, new to the US, and are excited to be one of the first stores to offer this brand. These wonderful designs come in bikins and one-piece suits. Some suits are adorned with Austrian crystals for a beautiful finishing touch.